Dry to moderate moisture. Prairies, open woodlands, forest margins, thickets, dunes, fencerows, roadsides, railroads. Full to partial sun. 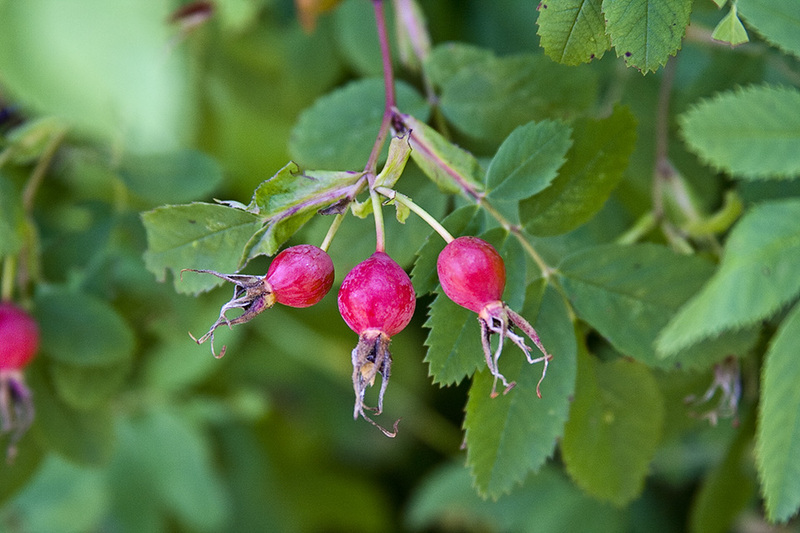 This is a 36″ to 48″ tall, erect, perennial shrub that rises on a single stem or a tight cluster of 2 to 4 stems from a root crown and rhizomes. It often forms loose colonies. 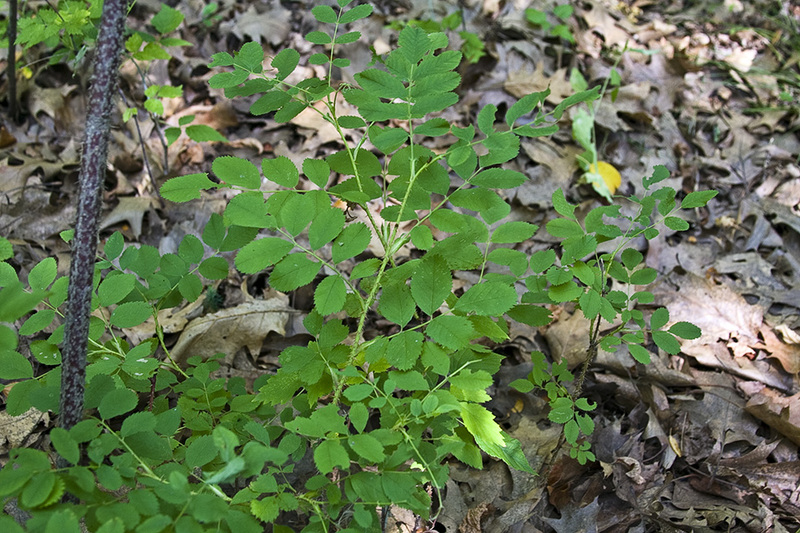 The stems are erect, slender, and weak. 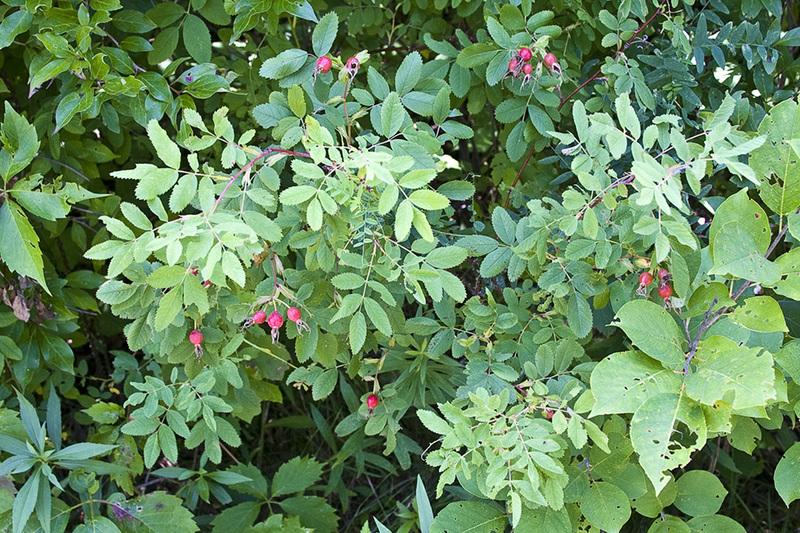 First-year stems and branches are reddish-brown to dark purplish-brown and have no prickles. 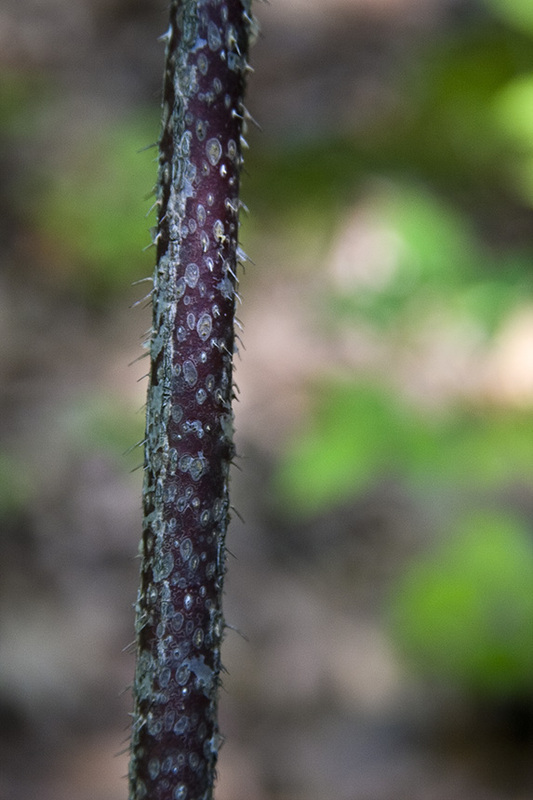 As they age they become gray and rough and the lower portion of the stem develops slender, straight prickles. 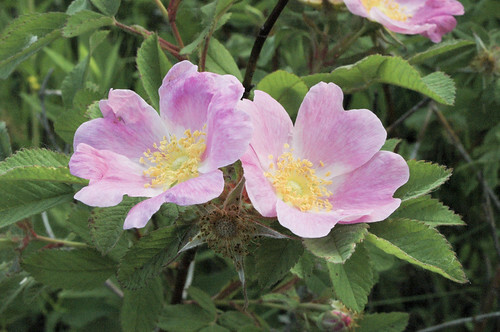 The upper portion of the plant remains relatively free of prickles. 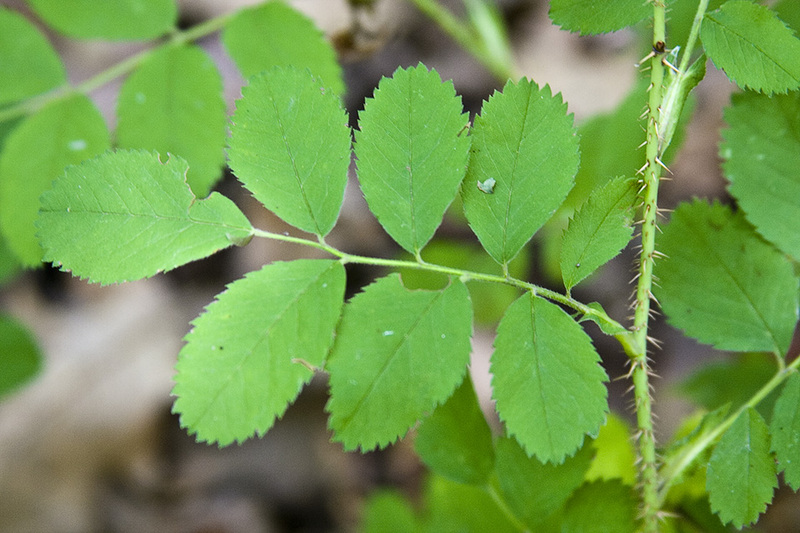 The leaves are alternate, deciduous, 2⅜″ to 3½″ long, and 2″ to 2¾″ wide. 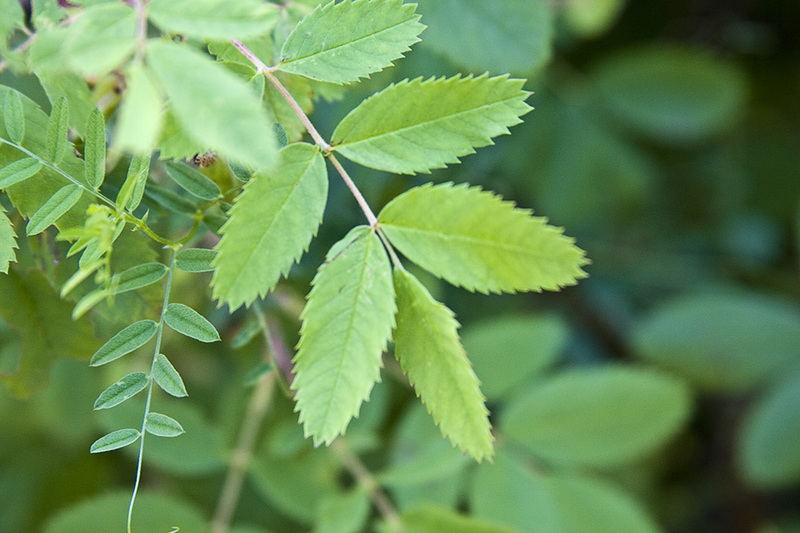 They are on hairy, ⅝″ to13 ⁄16″ long leaf stalks. At the base of the leaf stalk is a pair of leaf-like stipules that are fused to the base of the leaf stalk. The stipules are untoothed or may have a few glandular teeth above the middle. 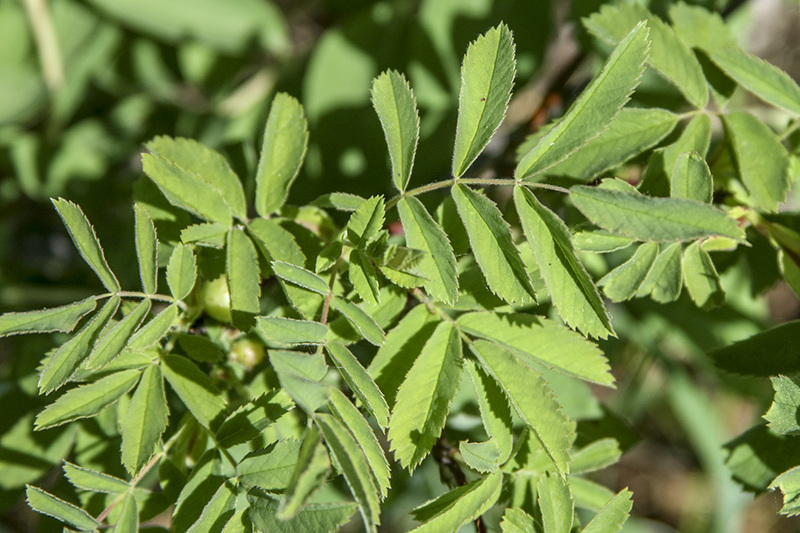 The leaves are pinnately divided into usually 7, sometimes 5 or 9, leaflets. The leaflets are elliptical to inversely egg-shaped, 1″ to 19 ⁄16″ long, and ⅝″ to ⅞″ wide. They are angled or rounded at the base and blunt or rounded at the tip. The upper surface is dark green, dull, and hairless. The lower surface is paler green and softly hairy. The margins are singly toothed with 10 to 17 sharp, forward-pointing teeth per side. The lower quarter of the margin is untoothed. The inflorescence is a solitary flower or cluster of 2 to 4 flowers at the ends of lateral branches of woody, previous year’s stems. 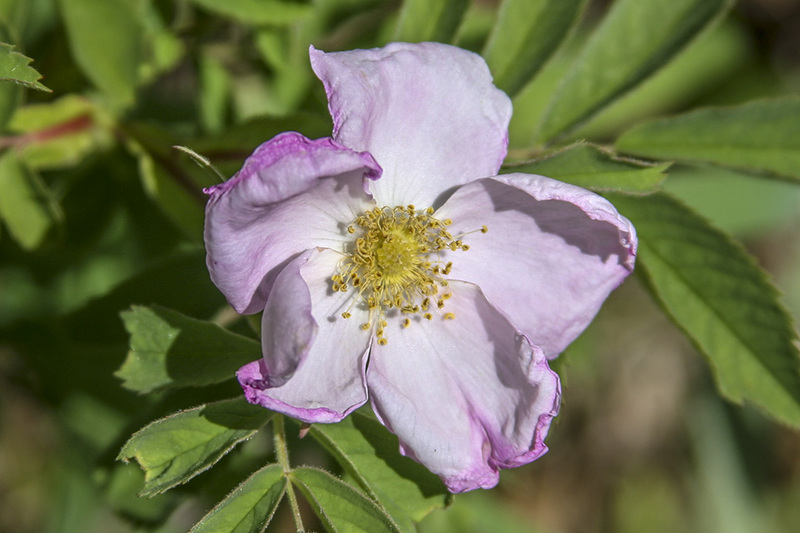 The flowers are 1½″ to 2⅜″ in diameter. They are on hairless, ⅜″ to ¾″ long stalks. 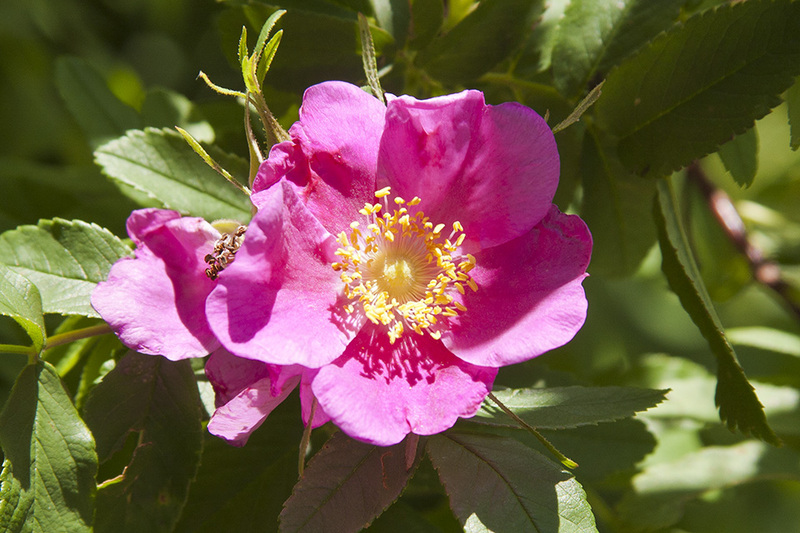 There are 5 green, ⅝″ to 1″ long, 1 ⁄16″ to ⅛″ wide sepals; 5 pink or reddish, ¾″ to 13 ⁄16″ long and wide petals; and numerous stamens and styles. The hypanthium is hairless. The fruit is an achene surrounded by the mature floral tube (hip). 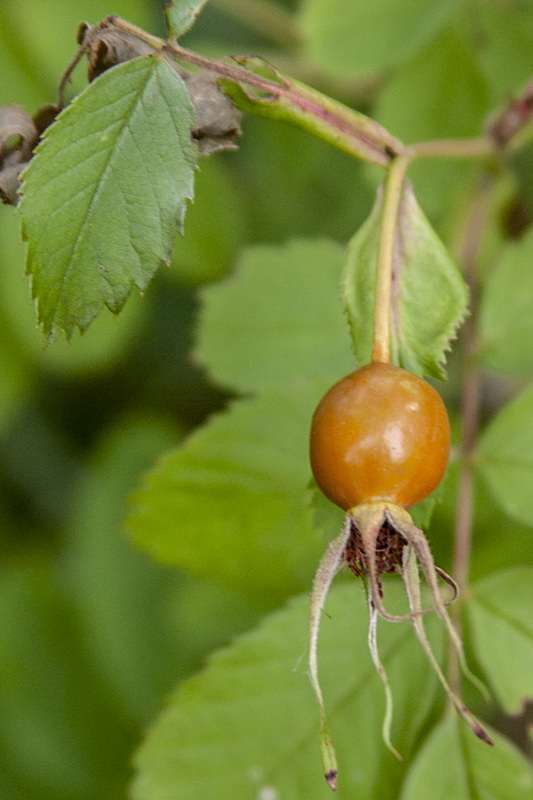 The hip is red, nearly spherical to egg-shaped, berry-like, and ⅜″ to ¾″ in diameter. It matures in early August to mid-September. 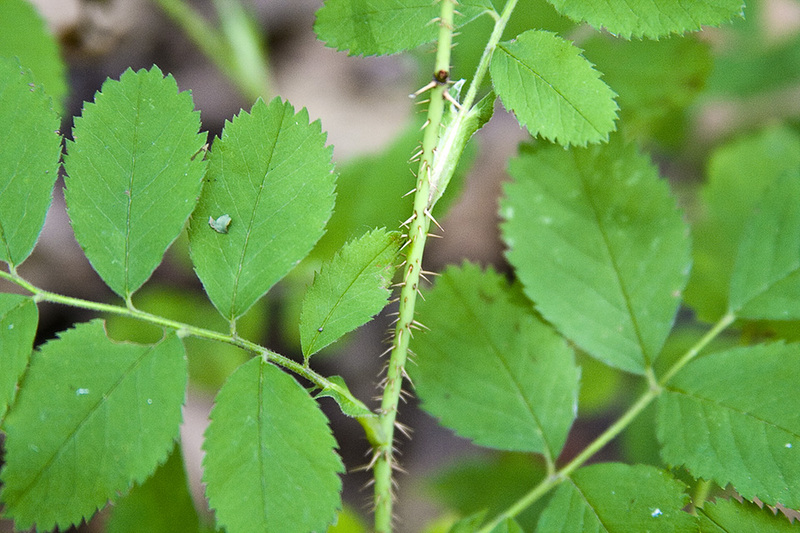 Other roses have prickles throughout, including on new growth.